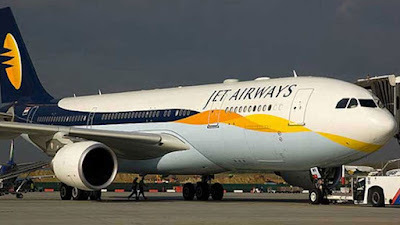 Jet Airways (India) Ltd will be unable to fly beyond 60 days unless cost-cutting measures including pay cuts are put in place, and it has approached investment bankers again to help sell a stake in the carrier. The management team, including Chairman Naresh Goyal, has informed employees in face-to-face meetings in recent days in Mumbai and Delhi that the airline’s financials are in a bad shape and drastic measures needed to be taken to cut costs, citing two company executives. Jet Airways, which completed 25 years of operations earlier this year, had 16,558 permanent employees as on 31 March 2018. Besides, there were a total of 6,306 temporary/casual employees, as per the airline's annual report for 2017-18. In line with its stated focus of creating a healthier and a more resilient business, Jet Airways has been implementing several measures to help it reduce cost as well as realise higher revenues, for desired business efficiencies, the company said. This was without specifically mentioning the 60-day deadline given to employees. Jet Airways has approached investment bankers again to help sell a stake in the carrier, citing two people with direct knowledge of the matter. The airline is facing several challenges including a surge in fuel prices, a weaker rupee, and intensifying competition. Jet Airways is looking to raise immediate cash and the transaction may include Jet Airways founder Naresh Goyal offloading a part of the promoter’s stake in the company, one of the sources said on condition of anonymity. Shares of Jet Airways today slumped nearly 6 percent in morning trade on the bourses after reports surfaced that the company's financials are in bad shape and drastic measures need to be taken to cut costs. Shares of the company today opened on a weak note at Rs 324.80, then fell 5.72 percent to a low of Rs 312.25 on BSE, a PTI report said. Similar movement was seen on the NSE as well, where the stock of the company opened at Rs 323.90, then fell to a low of Rs 312.15, down 5.73 percent over its previous closing price.